California Consulting LLC Announces the release of FY 2015 Assistance to Firefighters Grant (AFG) Program - California Consulting, INC. The primary goal of the Assistance to Firefighters Grant (AFG) is to meet the firefighting and emergency response needs of fire departments and nonaffiliated emergency medical service organizations. 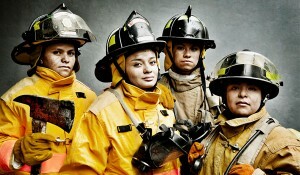 Since 2001, AFG has helped firefighters and other first responders to obtain critically needed equipment, protective gear, emergency vehicles, training and other resources needed to protect the public and emergency personnel from fire and related hazards. California Consulting’s Southern California Director, Haig Kartounian, attended the San Gabriel Valley Civic Alliance Holiday Reception in the City of Industry.